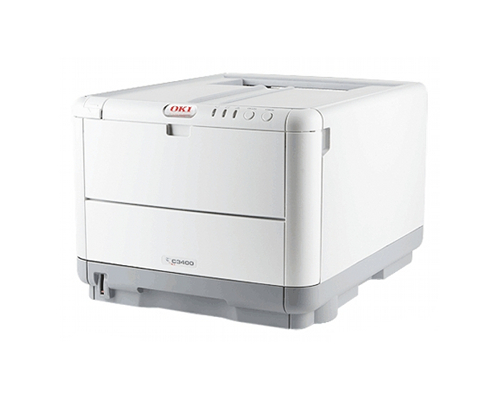 The OkiData C3400 is a middle of the road personal color laser printer that is capable of average print speeds and comes with more than one expandability option. 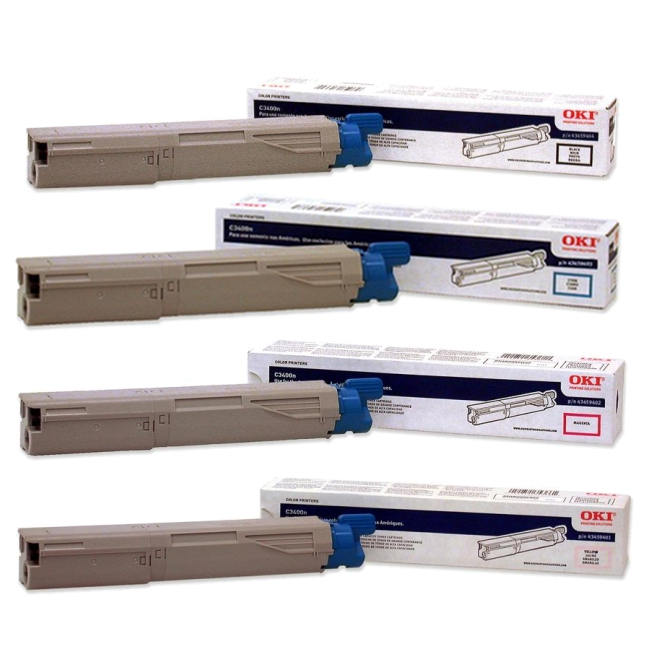 Though it is an older unit in OkiData’s C lineup, it is still a perfectly relevant choice for the buyer who simply needs to add color laser printing technology to their hardware set, without all the extras that come with some MFCs. Almost all the way across the board, this personal laser printer performs right on the line of average. It does, however, go above and beyond in a couple areas. The memory included is an unremarkable 32 MBs, but an expansion slot allows for up to 288 MBs to be incorporated into the hardware, which is perfect for aiding in the reduction of slowdown when dealing with complex print projects, such as mixed text and imagery, and full page color photos. The print speeds of the OkiData C3400, while mediocre, are at least acceptable for small applications. Black and white prints can be done at a rate of up to 20 pages per minute, which isn’t too terrible, and the color print speed of 16 pages per minute would be good enough for low volume printing or occasional usage. First page out times are equally as unremarkable, with monochrome prints coming out in about 9 seconds and first page out for color being about 13 seconds or less. The built in 200 MHz processor carries just enough juice to keep operations moving along smoothly, while the maximum monthly duty cycle of 35,000 pages is actually quite good, and suggests that the OkiData C3400 is a fairly sturdy unit to begin with. As the OkiData C3400 series is actually only available in one model, the OkiData C3400n, buyers will always receive the built in network card that is usually optional on devices like this. Networking for a device like this can be especially useful due to the fact that an entire small office with only the occasional need for color printing can share this small, affordable device among all its members. The paper handling abilities of the OkiData C3400 are very limited, as there is no expansion option available whatsoever. 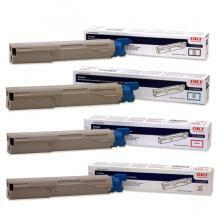 This means that buyers will be stuck with the 250 sheet standard paper tray and the single sheet multipurpose tray. With only a single sheet special media tray, users will have to hand feed anything that isn’t standard sized paper one piece at a time. When investing in color laser technology, which is not inexpensive, a little more versatility would be greatly appreciated. The overall downside to this device is not necessarily one game ending flaw, simply its overall mediocre performance. Review it: "OkiData C3400N "
Like most color laser printers on the market, the OkiData C3400 uses four individual toner cartridges to create composite color prints. 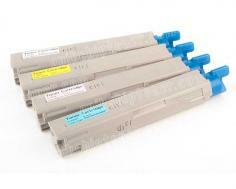 In this case, each toner cartridge can be replaced individually, and the black cartridge carries a 2,500 page yield at 5% coverage, while cyan, magenta, and yellow cartridges have 2,000 page yields each.